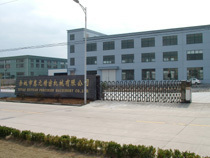 company profile of Ningbo Huiyuan Precision Machinery Co.,Ltd. 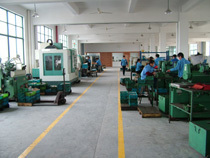 Ningbo Huiyuan Precision Machinery Co., Ltd. established in May 1997,is one of the fast-growing machinery companies specializing in manufacturing of machinery parts such as washing machine axis, motor shaft, bushings, car and motorcycle engine shaft-type components, air-conditioning compressor shaft, gear shaft and gear, crane sprocket chain. Now the company has over 8,000 square meters plant area. Products have won recognition in international market in USA, German, Korea, etc. The company established good reputations among customers such as Siemens, Whirlpool, Samsung, Chunhui, Daewoo, Hansheng, Chunlan, etc. To meet fast growing market, the company not only purchased advanced facilities but also introduced management system to sharpen our competitiveness in capacity, delivery, cost and quality. Quality and customer satisfaction are always on the company' s top priorities. In November 2003,the company passed the certification of ISO9001:2000 from SGS. TS 16949 will be introduced soon. 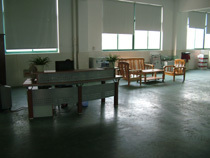 At the end of 2008, as the first one in Yuyao area, the company implemented ERP (SAP) to improve management system. The sales revenue increased from 6,000,000 RMB(750,000 USD) in 2006 to 1,200,000 RMB(1,760,000 USD ) in 2008. The company will continue to play an active role in machinery industry, and to explore new opportunities to cooperate with people all over the world on the basis of equity and mutual benefit.